Another Affiliate Summit is behind us, and with it, another iteration of the Newcomer Program. We had a fantastic time—we laughed, we cried, and it was a triumph of the human spirit. I know this looks exactly like last year’s cake, but I assure you, I baked it up fresh just a few days ago. The cookies were excellent and the guacamole (unrelated to the cookies) was to die for. 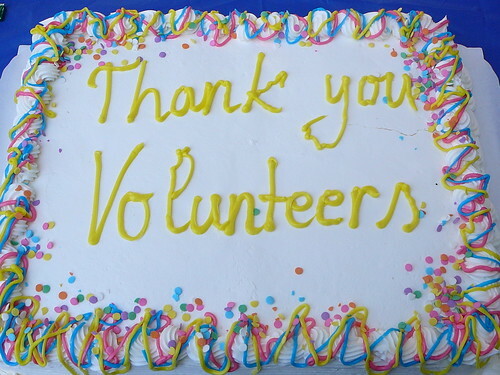 It is time, once again, to properly thank all of the veteran volunteers who make the Newcomer Program such a success show after show. All comedy aside, the job the veterans do is very appreciated. The Newcomer Program serves to assist first-time Affiliate Summit attendees ease into the hustle and bustle of the conference. For newcomers unused to attending large conferences, this can be quite a boon. During Affiliate Summit, the program provides a way for first-timers to network in a smaller setting, get to know veterans who have attended the conference over the years and learn the ropes. Here then, is the list of awesome people — the veteran volunteers for Affiliate Summit West 2013. Thanks everyone, the program couldn’t have been a success without you. Veterans, if your site is not listed, please contact me to have it added to the list. Want to participate in the next Affiliate Summit Newcomer Program? Sign up to participate at Affiliate Summit East 2013! The post Thanks to Affiliate Summit West 2013 Newcomer Volunteers appeared first on Affiliate Summit.